It looks like the Sprint/T-Mobile merger rumors may be serious this time. Reuters suggests that the parties are close to finalizing a merger. Obviously, we have been down this road before- Sprint and T-Mobile are the Sam and Diane of today’s wireless world. Everyone knows they will eventually try to get together, but their personalities are pretty diametrically opposed. This time though, reports seem to suggest that there is more to today’s round of talks than previous ones and that the parties are closer to a deal than ever before. We can’t forget that any merger will need to be approved by the FCC and the DOJ. Personally, I suspect that the DOJ will be tougher to get approval as the FCC seems to be positioning itself to approve this type of merger already. For proof of this thesis, look at the 2016 Wireless Competition Report- the first one in a while that came to the conclusion that wireless is competitive in the US and one where the FCC selectively chose widely varying timeframes to prove the point they were trying to make in each section of the review. The DOJ though doesn’t have to agree though, and it is hard to suggest that consumers will remotely be better off by a combined Sprint and T-Mobile merger- especially after seeing how wildly successful T-Mobile has been as the Uncarrier in almost singlehandedly creating new competition in the wireless sector. This has obvious negative consequences for OEMs, wireless engineering and construction companies, tower cos, and landowners/site owners. We know because we have the first-hand experience in dealing with previous mergers. Like AT&T/Cingular, Sprint/Nextel, Verizon/Alltel, Sprint/Clearwire, T-Mobile/MetroPCS, and AT&T/Cricket. All these mergers occurred after we started Steel in the Air. We helped numerous landowner clients deal with the initial rounds of threats from the combined entity that they would terminate the ground lease if the client didn’t agree to revised terms. We advised private tower owners who were in the process of selling towers on newly revised (and lower) offers they received from prospective buyers after a merger was announced. We provided guidance to private equity on tower portfolio valuations both prior to and after failed and successful mergers. We tracked how many leases were terminated and how many sites were decommissioned. 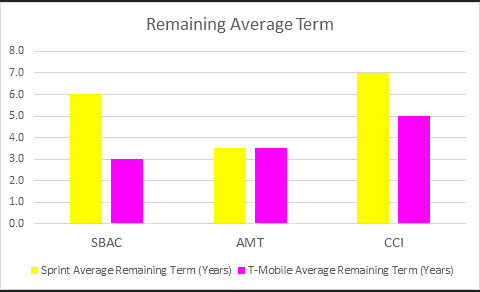 We observed how the wireless carriers reviewed their portfolios and which sites they ended up choosing to terminate. We watched new construction activity from the merged carriers abate for some time while they figured out what sites to keep or not and what additional sites they needed. And we observed what happened when they did start constructing again. All beneficiaries of new wireless construction (OEMs, Towercos, E&C companies) like to suggest that there is increased site development after the merger. They allude to the fact that they increased site counts after previous mergers. However, none of these companies directly address the loss of future business or growth that would have occurred if there had been no merger. Nor do they point out that today’s wireless environment is different and the merger of these two companies will be different if it occurs. How so, you ask? 1. Macrocells are no longer the only means of meeting capacity demands. Furthermore, in most of the previous mergers, there wasn’t the same amount of overlap in macro cells as there is today on Sprint and T-Mobile’s networks. 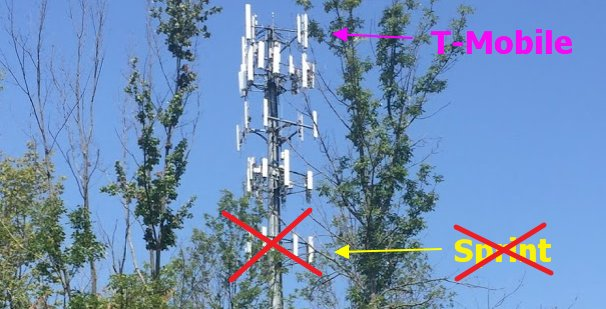 We are currently working on an analysis of the exact amount of overlap between the two networks in areas of the country where we have data with all or most of the Sprint and T-Mobile sites in an area. 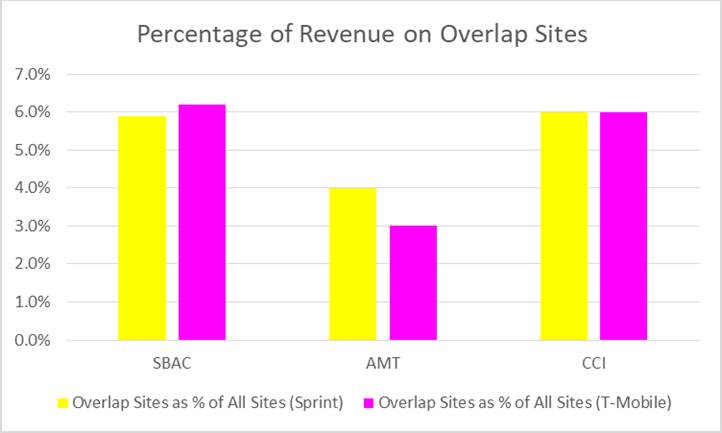 We will examine same site overlap and adjacent site overlap in this study as we found in previous mergers that some sites as far apart as 1 mile were terminated. 2. Both networks already cover most urban and suburban areas– so macro sites won’t need to be kept for coverage reasons as they might have been in previous mergers. 3. Previous mergers were more difficult to complete than this merger due to different technologies used by each carrier in most of the mergers. Today’s environment is mostly LTE- with the focus of going all LTE. Sprint legacy CDMA subs and T-Mobile legacy GSM will need to be addressed- but much easier today than it was for Sprint CDMA and Nextel iDEN. 4. Sprint hasn’t been doing a lot in the last two years from a CapEx perspective- but T-Mobile has. We anticipated an increase in wireless CapEx in 2018 primarily driven by new Sprint work- but that won’t occur now. E&Cs and OEMs will lose this anticipated upside, making existing carrier contracts more valuable and new ones more competitive, ultimately driving down margin after an initial spike from decommissioning activity. 5. For Towerco’s, the loss of a fourth active NATIONAL carrier has a significantly greater impact overall as compared to the loss of a fifth or sixth active REGIONAL carrier. 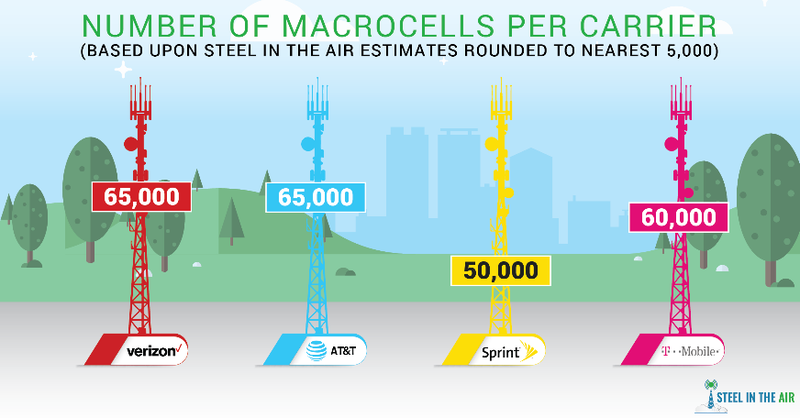 The margin in operating towers increases with each additional wireless carrier on the tower. Decrease the number of carriers and not only do you decrease the revenue but you decrease the margin. Personally, I struggle to see how consumers benefit and the investment community must agree with me as AT&T and Verizon’s stocks both increased after the new rumors came out. Investors anticipate that both companies will be able to increase their pricing with lesser competition from two smaller competitors trying to grab market share. Sprint benefits the most. With their primary focus over the last two years being cleaning up their P&L and balance sheet in anticipation of a merger, their network has suffered. As a result, they either had to start spending or merge. T-Mobile will gain subscribers and scale. Free market proponents will benefit, especially those that think that the market should dictate competition, not regulatory entities.